What a glorious week! The National Championship to start the week (Go Duke!). National Beer Day midweek. And opening day and week of Major League Baseball. And while traveling to Major League Baseball stadiums around America is one of my favorite road trips, it only seemed appropriate to invite one of the biggest baseball fans I know, friend and fellow travel writer and photographer, Christina Saull, to write about traveling to all 30 Major League Baseball stadiums. 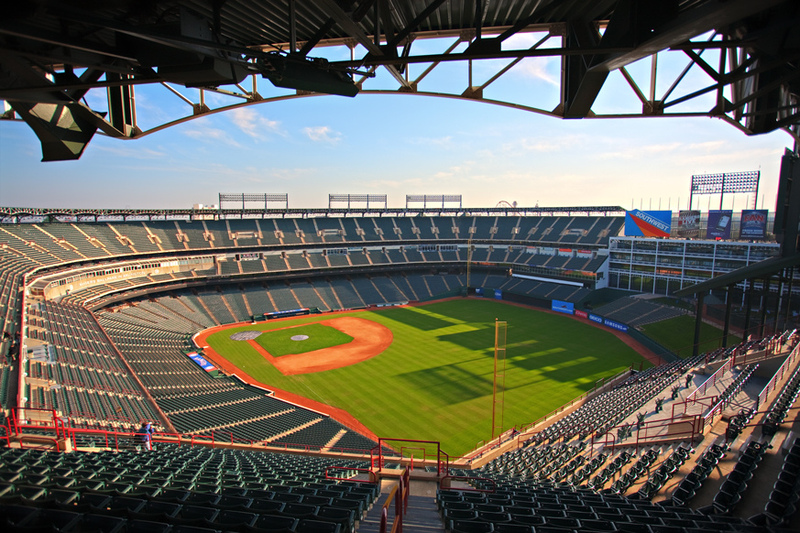 See her Major League Baseball stadium guide below, and follow her on her blog and Twitter. It's no secret that Arizona gets hotter than Randy Johnson's 'ole mullet. The solution: Put a swimming pool in the outfield for baseball fans. Where to grab drinks pre- and post-game: Game Seven Grill, which serves locally brewed Phoenix Ale's beers on tap for just $6. Where to sit: Obviously you have no choice but to get a group of friends together and rent the swimming pool smack dab in the middle of center field. Sweetest seats ever. Where to eat: I have one thing to say to you: Bacon-wrapped hot dog (no, seriously). Head straight for Red Hot Grill, where you get just that, and a lot more. Where to stay: Chase Field is in the middle of downtown Phoenix, and it's hard to get anymore convenient then the Renaissance Phoenix Downtown Hotel, just a few blocks from the Diamondbacks' stadium. Many Olympic stadiums lay empty post-Olympics. But not the case of Atlanta, where the stadium used in the 1996 Olympics became the home of the Atlanta Braves. Catch a game here while you still can, before the Braves move to the 'burbs. Where to grab drinks pre- and post-game: Chop House, a giant restaurant in the stadium, serves up cold brews and pulled pork nachos. Your best bet is to get to Turner Field early and grab a beer during batting practice (there aren't many options nearby). Where to sit: 2.5 hours before the game, nab a $1 ticket. They are upper deck and go fast, but they are $1. Where to eat: This stadium has it all: Waffle House, Chick-fil-A, Rathburn’s for amazing steak sandwiches, and Holeman & Finch for burgers. Where to stay: One of the closest hotels to Turner Field is the budget-friendly Grant Park Hotel, but for an upgrade of your experience, go to the Glenn Hotel, a mile and a half away, doubling as a fantastic rooftop bar. Old meets new at Camden Yards, bringing retro back to ballparks. 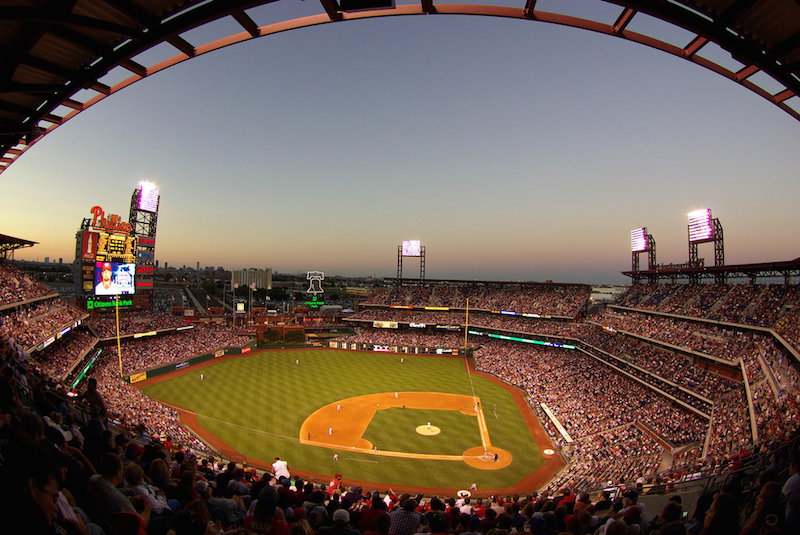 It doesn't hurt that it's also home to the best stadium food in Major League Baseball. Where to grab drinks pre- and post-game: Pickles Pub is a local institution for beverages pre- and-post game. If it’s too packed, pop next door to The Bullpen. 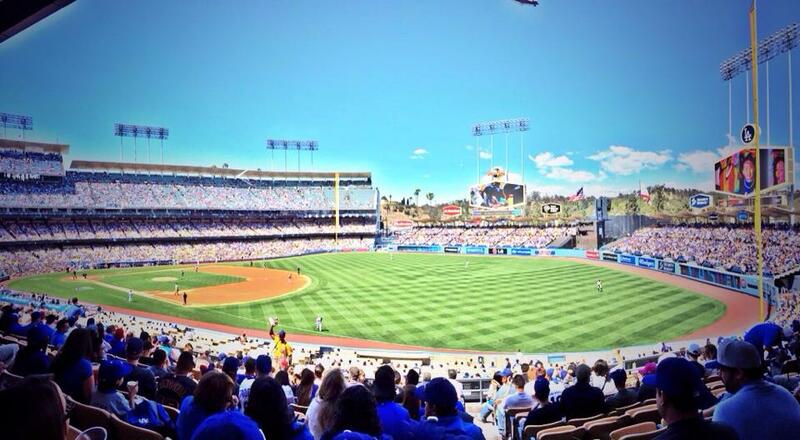 Where to sit: Every Tuesday, all Upper Reserve tickets are only $10. Where to eat: In the stadium, swing by Boog’s BBQ for awesome BBQ pork and a chance to meet Boog Powell, the Oriole’s All-Star first baseman and namesake behind some of the best in-park grub in the American League. Where to stay: There are tons of options in the Inner Harbor, including Four Seasons’ newest property, the Four Seasons Hotel Baltimore. Regardless of your opinion of the Red Sox, Fenway is one of those legendary ballparks on every baseball fan’s list. 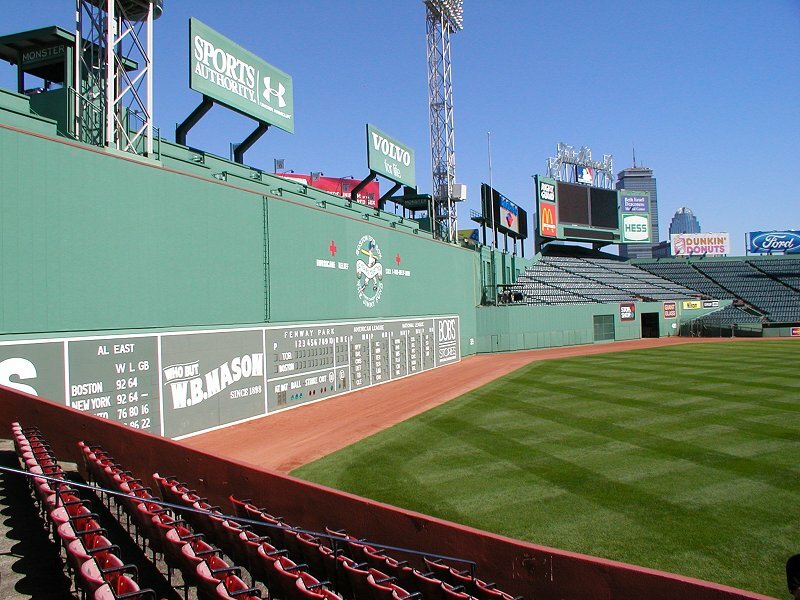 Few stadiums with the tradition and history of Fenway still stand today. Where to grab drinks pre- and post-game: Head to the bar ESPN declared the top baseball bar in America: Cask ‘n Flagon. Other good bets: Boston Beer Works and the Lansdowne Pub. Where to sit: Who cares, you’re at Fenway! I think we can all agree that the ultimate seats are on top of the Green Monster. Rather than telling you where to sit, I’ll tell you where not to sit: Double-check your seats and make sure they aren’t described as an “obstructed view,” which can mean anything from an odd angle to a steel beam obstructing your view. Where to eat: If you’re headed to a day game, club level seats offer brunch. Otherwise, Home Plate Marche for lobster rolls and chowder, and Fenway Fish Shack for that great New England seafood. Where to stay: The Verb Hotel is a super funky mid-century modern property that's a baseball's toss away from Fenway. Cursed goats aside, Wrigleyville is one hopping neighborhood. In fact, on game day it is downright rowdy. Is this the Cubs’ year? Where to grab drinks pre- and post-game: The Cubby Bear has been serving thirsty Cubs fans since the 1950s. Or hit up Goose Island for their famous 312, a wheat ale that's great for a summer day. Where to sit: Unlike most stadiums, the outfield seats aren’t necessarily the cheapest place to sit, but they are definitely the most fun. So make like Ferris Bueller and join the party zone. (Note: they’re first-come, first-served.) Where to eat: At the stadium, try the Italian beef sandwich or traditional Chicago hot dog at Decade Dogs and a slice of pie from Giordano's. Where to stay: There are tons of hotels in The Loop just off the "L" line from Wrigleyville, including the grand old dame, The Drake Hotel, or the equally old school Palmer House. White Sox fans love to hate their cross-town blue and red team and love to love their south side stadium. The days of the Big Hurt are long gone, but the black and white remain. Where to grab drinks pre- and post-game: Bernice’s Tavern hasn’t changed in forever. If you want eats to go along with your beer, head to Maria’s Packaged Goods and Community Bar where you can have food delivered from Pleasant House next door. Where to sit: If you want to be in the shade, sit on the first-base side. Where to eat: Bullpen Sports Bar in right field gives you an excellent view and good grub. Other standouts include Beggars Pizza for slices, Burger Bar for "Bacon-On-A-Stick", and the helmet of ribs, which is literally a souvenir helmet full of ribs. Where to stay: Kimpton has four awesome hotels in the Chicago area, including the stylish Hotel Palomar and the vintage Hotel Allegro. 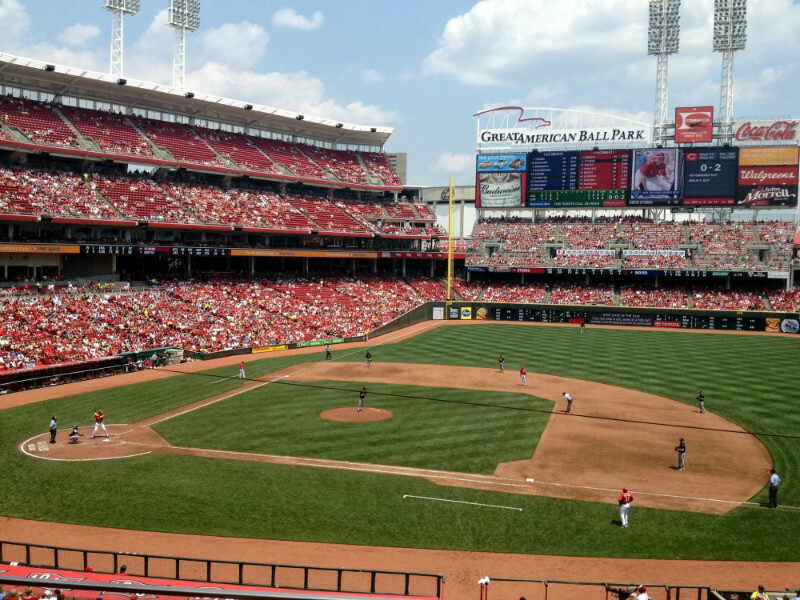 The Big Red Machine hasn’t been around for decades, but at this beautiful stadium right on the Ohio River, an afternoon at the park has never been better. Where to grab drinks pre- and post-game: Moerlein Lager House, which sits on the site of the old Reds Riverfront Stadium, is the place to be for a drink pre- or post-game. Their beer menu is enormous, including several beers made in-house, all of which can be ordered with their flights of beer. Where to sit: Club level seats offer a variety of food offerings (including many local favorites) and seats in the shade. Where to eat: A visit to Cincinnati calls for Montgomery Inn ribs, Frisch’s burgers, and Skyline Chili. Luckily, you can get all of these right at the ballpark. Where to stay: There are a number of hotels near Great American Ballpark in downtown Cincinnati, of which the Hilton Netherland Plaza is your safest bet. Longtime Indians fans wouldn’t dare call this gem of a stadium anything other than Jacob’s Field (or, more likely, The Jake). Where to grab drinks pre- and post-game: Go to the Winking Lizard for a sports bar atmosphere and The Clevelander for a dive bar atmosphere. Wherever you go, drinking locally brewed Great Lakes beer is a must. Where to sit: The outfield bleachers are the place to be. Bonus points that these seats are convenient to drummer John Adams, who has been drumming for the Cleveland Indians for more than 40 years. Where to eat: Stadium mustard was invented in Cleveland, so you have no choice but to have a dog covered in the yellow stuff at the park. Other options include the Rally Burger, a double cheeseburger that is one of the best food deals in all of Major League Baseball. Where to stay: The Arcade is an architecturally stunning building that housed America’s first indoor shopping mall and now is home to the Hyatt Regency Cleveland at The Arcade. Who cares what’s happening on the field when the stadium has a stunning view of the Rocky Mountains? Where to grab drinks pre- and post-game: Jackson’s Sports Bar is right across the stadium and has a giant patio to chill with your libation. Where to sit: Tickets in the Rockpile – bleacher seats out in center field – cost as little as $4. Where to eat: This is cowboy country and Coors Field offers a variety of western favorites right in the stadium, including Buffalo burgers and Rocky Mountain Oysters (these are NOT your East Coast oysters). Where to stay: The Crawford Hotel is a five-star hotel located in Denver’s historic Union Station. Detroit is roaring back to its former glory and the Detroit Tigers and Comerica Park are no exception. Where to grab drinks pre- and post-game: Cheli’s Chili Bar is owned by Chris Chelios, former defenseman for the Detroit Red Wings. But it's no hockey bar, located just a baseball's toss from Comerica Park. Conversely, Tiger Stadium may be gone, but Nemo’s, a 35-year sports tavern, is still rockin'. Where to sit: Sections 120 and 135 offer great views and are easy on the wallet, typically around $30 per ticket. Where to eat: Surprising as it may be in Detroit of all places, it's hard to go wrong with the Taco Cart, though other great options include 313 Burger Co. and The New Amsterdam 416, which is less concessions and more full bar with one of the best seats in the house. Where to stay: Detroit is on its way back and the hotel scene is coming back along with it. The Westin Book Cadillac is in a stunning old school building and is within walking distance to Comerica Park. While the Astros World Series dreams may seem elusive, the 15-year-old Minute Maid Park has already played host to a World Series and is a sight to behold with its state-of-the-art retractable roof. Where to grab drinks pre- and post-game: Home Plate Bar and Grill is literally 200 feet from home plate, making for a popular place to grab a beverage. If it’s too crowded, check out B.U.S. Bar next door. Where to sit: You just can’t beat a field-level view in dugout seats. Where to eat: If you want your tex-mex fix inside the stadium (this is Texas, after all), then hit up El Real and Sheriff Baylock’s Kickin’ Nachos. Where to stay: The Westin Houston Downtown is literally right across the street from Minute Maid Park. When you check-in, make sure to ask for a view of the ballpark. Longtime Royals' fans have faced a roller coaster of up and down seasons. But if nothing else, win or loss, there's no shortage of that famous Kansas City BBQ! Where to grab drinks pre- and post-game: McFadden’s Sports Saloon and Shark Bar and Grill are both on Grand Boulevard downtown and just a short ride from the stadium. Where to sit: Grab seats in the outfield, where the view is spectacular and the ticket price is hard to beat. Where to eat: For dogs, head for one of a couple Dugout Dog House locations, which also offer a new steak and cheese dog. Also new this year, Belfonte, a longtime Kansas City ice cream maker that now has a stadium outpost. Where to stay: The 816 Hotel is a Kansas City original, offering themed rooms that play homage to some of Kansas City's most favorite places. Who wouldn’t want to stay in a hotel room dedicated to KC’s most famous mobsters? You won’t believe you’re visiting one of the oldest ballparks in Major League Baseball when you check out how clean the Angels Stadium is (a local point of pride!). Where to grab drinks pre- and post-game: JT Schmid’s for beers on their big patio (you can park in their lot for free if you’re headed to the game) or anywhere along the Anaheim Garden Walk if you don’t mind chain restaurants. Where to sit: Section 206 gets you under an overhang in the shade and comes with an awesome view of the kiss cam scoreboard. Where to eat: Get a heaping order of carne asada fries (or other gourmet fries) at Spuds, or for something especially unique, a speciality grilled cheese from the Big Cheese, which may not sound like ballpark food, but is a hit with fans. Where to stay: Go big or go home in Anaheim: Disney’s Grand Californian Hotel and Spa is all things luxury without being overly Disney. Plus, they have a waterslide! Head to a game at Dodger Stadium and you may just get a free concert or be rubbing elbows with one of your favorite celebs, which only seems fitting in Tinsel Town. Where to grab drinks pre- and post-game: The Short Stop is an appropriately-named bar that is the place for drinks before or after a Dodgers game. Sunset Beer Company offers a giant selection of beers that you can enjoy on site or grab a bottle to go. And if you join the mug club, you get your very own stein, which is kept on display behind the bar. Where to sit: Dodgers Stadium has five levels divided into seven sections, which means that your ticket may or may not allow you access to different parts of the stadium. Regardless of where you sit, a hat and sunscreen are a must, since very few seats are in the shade. Where to eat: If you do nothing else, have a "Dodger Dog," a mainstay at Dodger Stadium for decades, characterized by its long length (insert innuendo). Other standouts include tacos, which you can get all around the stadium, since this is Southern California after all. Where to stay: The Millennium Biltmore Hotel is a luxurious, historic property. It’s a stone’s throw from Dodger Stadium and played home to the first ever Academy Awards Ceremony. You know you’re at Marlins Park in Miami as soon as you catch a glimpse of the ballpark's swimming pool and funky Art Deco sculptures. Where to grab drinks pre- and post-game: No need to head to South Beach because the famous Clevelander has brought its fabulous pool parties right to Marlins Park. Outside the stadium, Corona Beach Bar will make you feel like you’re on South Beach with their lifeguard-style bar stools. Where to sit: Crowds tend to be sparse in Marlins Park, so there are great opportunities to grab a deal on tickets. The Legends Level offers awesome views of the field and the Miami skyline, along with a parking pass and good access to in-stadium grub. Where to eat: It's hard for any stadium to compete with the burger offerings of Marlins' Burger 305, which features a number of other gourmet sandwiches, including a shrimp burger. For your staple ballpark food, go to the Metro Grill. Where to stay: While there aren't many hotels right by Marlins Park, there are plenty in Downtown Miami along the beach, which is just a couple miles away. This includes the Viceroy, InterContinental, and Mandarin Oriental, all of which are a few blocks from one another. Baseball fans have every reason to add Miller Park to their “must-visit” list. Bonus points that it's sausage and beer heaven! Where to grab drinks pre- and post-game: The name of the team plays homage to beer, so it’s only natural that there are great places to grab a drink pre- and post-game. Benno’s Bar and Grill has over 30 beers on tap while Kelly’s Bleachers will give you half off your beer with a ticket stub from the Brewers game. Where to sit: The first row of the field bleachers in right field is where the VP of ticket sales for the Brewers likes to sit, so obviously you know you’re going to enjoy the game from there. Bonus: $10 tickets for this great view! Where to eat: The food insider Miller Park is a sausage lover's dream. Come hungry for a wide selection of Wisconsin brats and sausages from a number of places around the stadium, such as The Brat Boys. If you're feeling ambitious, head to Section 220 for the Down Wisconsin Avenue brat, an 18-inch bratwurst topped with shoestring fries, gravy, cheese curds, frizzled sauerkraut, cheese sauce, fried jalapeños, sour cream, and chives. Where to stay: There’s not much in the way of accommodations near Miller Park, so snag a hotel downtown. The Iron Horse Hotel is in a boutique property in a renovated old warehouse and plays homage to Milwaukee’s own Harley Davidson. Don’t be intimidated by the Twins open-air stadium, they haven’t been snowed out yet! Warm or cool, the great food offerings throughout the stadium will keep you fat and happy. Where to grab drinks pre- and post-game: Fulton Brewing Company is the real deal. Serving craft beers on a tap to the backdrop of food trucks, this is the best local place to grab a pint. Where to sit: The upper deck seats along the right field line offer a great view and a great value. Where to eat: Award-winning food is all around Target Field, from Andrew Zimmerman's Canteen, offering up unique street food from the celebrity chef himself, to Kramarczuk's gourmet sausages. Where to stay: The brand spankin’ new Le Meridien Chambers in downtown Minneapolis is less than a half mile walk from the stadium and is a comfortable place to rest your head. Say what you will about the Mets, but it's hard to beat a baseball experience here that features food from some of New York City's best food establishments. Where to grab drinks pre- and post-game: McFaddens is the go-to place to grab a drink around Citi Field pre- and post-game. Where to sit: Sit behind home plate or along the first- or third-base lines for the best view of one of biggest jumbrotrons in sports. Where to eat: In the stadium, you can’t go wrong with a corned beef sandwich or a famous Nathan’s dog. But if you've never had Shake Shack, there's no better time to have their famous burger. 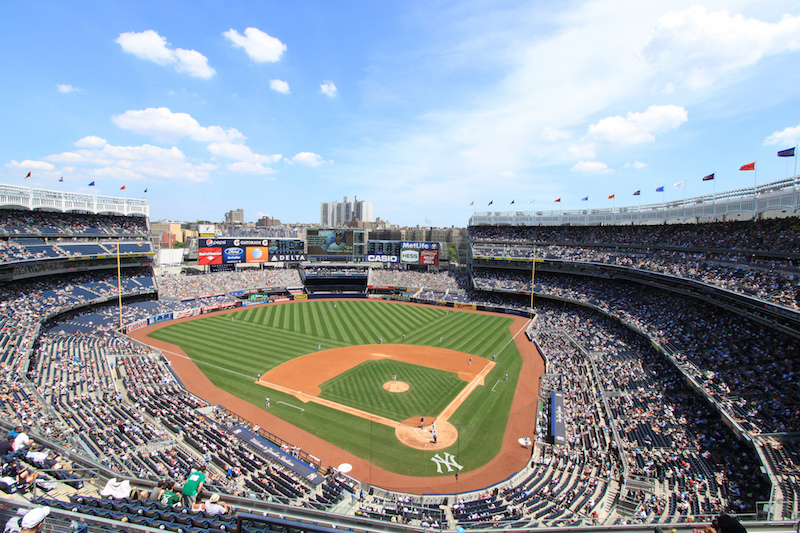 Where to stay: Unless you stay at a LaGuardia Airport hotel, you'll probably want to stay in Manhattan and take the subway to Citi Field. Might as well stay somewhere cool like the Library Hotel, where they have an almanacs room. Baseball stats galore! Pinstripes, Babe Ruth, Lou Gehrig, Derek Jeter, and Steinbrenner’s gazillion titles and pennants. Whether you love or hate the Yankees, they’re a part of baseball lore. Where to grab drinks pre- and post-game: Yankee Tavern has been there forever. How can you possibly beat a bar that served Lou Gehrig and Yogi Berra a drink? Stan’s Sports Bar also offers a rowdy atmosphere and tons of Yankees memorabilia. Where to sit: Upper deck behind home plate offers a great view of the field, combined with a relatively good ticket price. Whatever you do, don’t sit in bleacher sections 201 and 239: while the tickets are only $5, they only offer obstructed views. Where to eat: If you're going to dole out money for food, then it might as well be really good food, and that's what you'll find at Yankee Stadium, from gourmet sandwiches at Parm to smokin' BBQ at Brother Jimmy's BBQ. Where to stay: Decent hotel options in the Bronx on are on short supply, so think differently and check out the offerings in revitalized nearby Harlem. The Aloft Hotel there gets high marks on the hip and comfortable scales. It’s all about Moneyball in Oakland, with the A’s continually beating the odds, despite the fact that they’re the only MLB team that has to share their stadium full-time with an NFL franchise. Where to grab drinks pre- and post-game: If you drive, plan on tailgating, as that’s about the best you’re going to do for pregame hijinks. If you’re looking to stock up, Pacific Coast Brewing Company is the place to grab local beverages. Where to sit: Sections 214-220 offer a great value and a great view about 8-9 rows up. The bleachers, however, are where the diehards sit. Where to eat: If you’re going to eat at the stadium, two words for you: garlic fries, which you can find around the stadium. Other standouts include Ribs and Things for all things barbecue and Saag’s Club Level for an upgrade from your everyday stadium hot dog. Where to stay: If you’re just coming for a game, there are a ton of airport hotels nearby. However, there's also a BART station at the stadium which can take you into San Francisco or Oakland to a number of hotels, such as the Oakland Marriott City Center and Waterfront Hotel. Philadelphia fans have a bit of a reputation to uphold. So pack your manners for a game and enjoy a nice afternoon at the ballpark. Where to grab drinks pre- and post-game: Chickie’s and Pete’s in South Philly is where fans flock to for drinks before the game (bonus: free parking and ride their shuttle to the game). Where to sit: Even the nosebleed seats have great views at this park, so save some dough for beers and grab a $20 ticket Where to eat: If you eat nothing else, make it "The Schmitter," featuring grilled steak, salami, cheese, onions, and special sauce. Yes, the line is worth it. Other items you should have on your "to-eat" list includes a giant turkey leg from Bull's BBQ and crab fries from Chickie's and Pete's. Where to stay: Unless you’re just coming for the game, consider staying closer to Downtown Philadelphia, such as the Kimpton Monaco right on Independence Square. 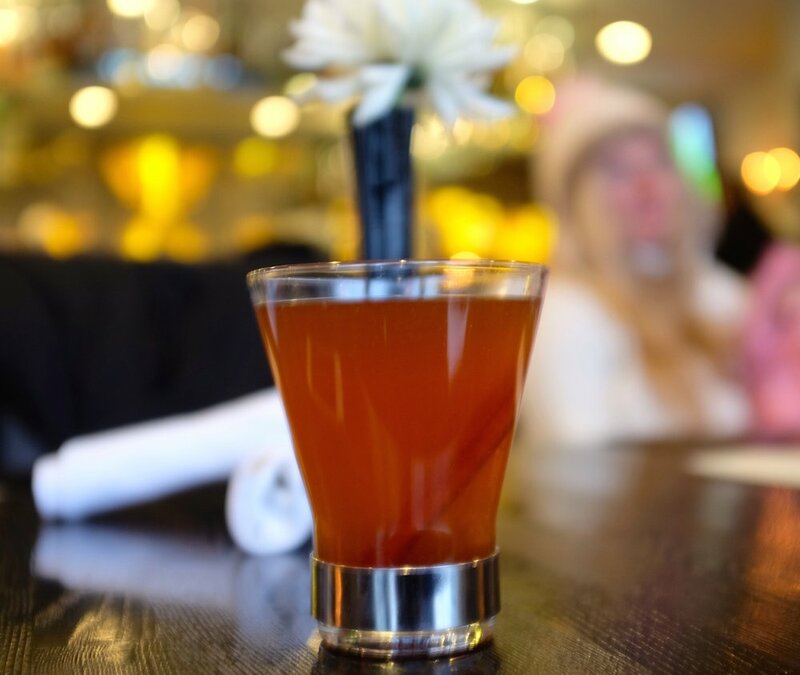 Where to grab drinks pre- and post-game: Rivertowne North Shore has a gigantic list of craft beers and a fire pit to keep you warm post-game. Where to sit: Not too many bad views in this new-ish park. Some of the best value in the park is in left field in the front row of sections 133-138. Where to eat: Inside the park, Smorgasburgh offers local favorites all in one spot: Quaker Steak and Lube for wings, Primanti Brothers for huge sandwiches, and Beers of the Burgh for craft beer. Where to stay: Just across the bridge from PNC Park is the Renaissance Pittsburgh, a four-star hotel with a five-star view of the Allegheny River. The home of the Padres is situated in the middle of downtown San Diego right next to the famed Gaslamp District, and just down the street from the water, making it the best of all worlds. Where to grab drinks pre- and post-game: The deck at Moonshine Flats, a honky-tonk bar, is always hopping before and after Padres’ games. Where to sit: Petco Park has the advantage of having low upper decks, so even the cheap seats feel close to the action. Or, grab a spot on the grassy slope for $10 and watch the game from a blanket in the outfield. Where to eat: Naturally, craft beer is a running theme at San Diego's Petco Park, thanks to Ballast Point, Stone Brewing, and the new addition of local beer and grub joint, Pizza Port. Other notable stops include Phil's BBQ and The Taco Shop. Where to stay: The Omni San Diego is so close to Petco Park that they practically share a wall. Make sure and request a room with a balcony overlooking the stadium. A perennial favorite (or more like the perennial team fans love to hate), the Giants represent the city by the Bay. Where to grab drinks pre- and post-game: 21st Amendment is a beer lover's dream with tons of craft beer on the menu, just a few steps from the ballpark. For something a little more low-key, head to Zeke’s, the “Midwest sports bar” in San Francisco. Where to sit: Grab a kayak and snag home run balls in McCovey Cove! There really isn't a bad seat (or view) in the house, though if you're a roamer, consider the standing room tickets. Don't have tickets? Join the "Knothole Gang" behind right field (pictured above), which has a free view of the game, but just without the beer and garlic fries. Where to eat: Inside the stadium, Mijita is serving up fish tacos, Crazy Crab’z has a mean crab cake, and Farmers’ Market serves up slightly fancier fare including strawberry shortcake and gruyere grilled cheese. It's my duty, however, to tell you that you must get an order of the staple garlic fries. Where to stay: There aren’t too many hotels right by AT&T Park, so snag one of the fantastic properties downtown. Some of the best of which include the St. Regis and the Hotel Union Square. While the weather in Seattle can be a bit iffy sometimes, you’ll be warm and dry at Safeco Field with their retractable roof (they have their roof open the least often in the majors). It ain’t no King Dome, but it’ll do. Where to grab drinks pre- and post-game: Pyramid Alehouse is the place to have a drink when the brewery's parking lot becomes an outdoor beer garden on game days. Where to sit: Even the nosebleed seats in this stadium offer a good view with a great value. Where to eat: Safeco Field has tons of great food options right in the stadium, including Hamburg + Frites (dip everything in the garlic aioli sauce), the Hit it Here Café (corny name, awesome garlic fries), and RicenRoll (no more Ichiroll, but still awesome hand rolled sushi). Where to stay: The rooms at the Inn at the Market, ideally located in Pike Place Market, are stylish and comfortable and their fantastic rooftop deck offers views of Puget Sound and Safeco Field. You can also take the light rail to the game, meaning less traffic headaches. As a Washington Nationals fan, it pains me to write anything positive about the St. Louis Cardinals after what they did to us in the 2012 NDLS. But their stadium is prime real estate in downtown St. Louis. Where to grab drinks pre- and post-game: It would be positively un-American to go to St. Louis and not get a pre-game beer at the Budweiser Brew House. If your taste in beer is more imports than domestic, pop by Paddy O’s Sports Bar. 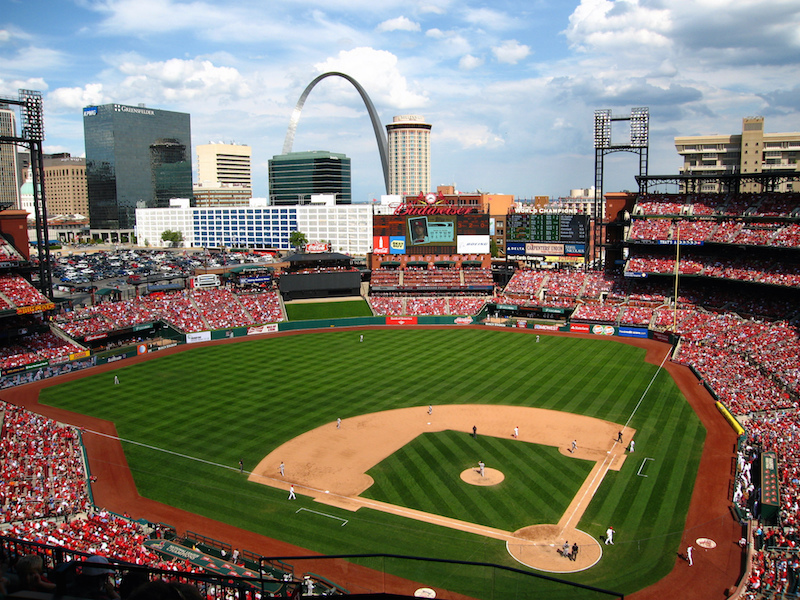 Where to sit: Left and right infield seats ensure that you have an awesome view of the arch. Where to eat: Gone are the days of the basic ballpark hot dog and here to stay are gourmet hot dogs, like what you'll get at the Food Network Hot Dog Bar. Otherwise, get your nacho on at El Birdos Cantina and El Birdos Gourmet Nachos. Where to stay: There are four hotels in “Ballpark Village,” a dining and entertainment district right next to Busch Stadium. A Hilton, Hyatt and Westin ensure that your frequent guest points will be happy no matter what program you’re loyal to. 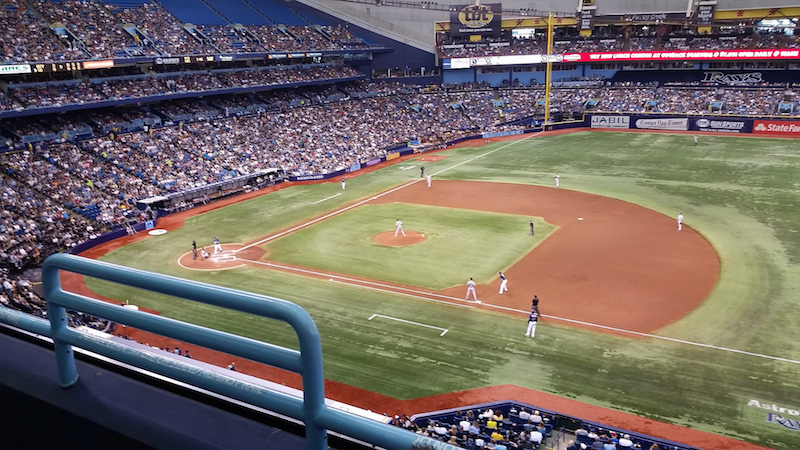 When the Rays moved into Tropicana Field as an expansion team in 1998, the Trop was an empty stadium having lost the Lightning hockey team to a shiny new palace across the Bay. But the baseball-hungry fans have come in droves and transformed the area around the Trop to a hopping baseball game experience. Where to grab drinks pre- and post-game: If you’re coming from the Tampa side of the Bay, stop by Tampa Brewing Company in Ybor City before crossing the bridge for craft brews. Where to sit: The first eight rows of the Upper Deck along the first-base and third-base lines offer a particularly great view for a spectacularly small price. Where to eat: Most surprising is the popularity of the Cuban sandwich at Tropicana Field, which can be found throughout the ballpark. Get a Cuban burger at Burger Up! and authentic cheese steak sandwiches at the aptly named World Series Cheese Steaks. Where to stay: The Renaissance Vinoy, an old school, luxury property is a throwback to the days of Florida glamour. Plus, visiting baseball teams stay here, so keep your eyes peeled in the lobby or gorgeous pool. “The Ballpark” was designed with good views and a family-friendly time in mind. Screams for the Rangers compete with screams at nearby Six Flags Over Texas. Where to grab drinks pre- and post-game: It’s not close, but Bobby V’s Sports Gallery Café is a mecca for Rangers fans. Sherlock’s Baker Street Pub and Grill offers cold beers and a free trolley to the game. Where to sit: Seats on the first-base line are a must so you’re not squinting into the setting sun. Where to eat: Two words for you to enjoy the most random, delicious ballpark food anywhere in the majors: Ranger Tater. It's a baked potato topped with brisket that's even better than it sounds. Captain Morgan’s Club is one of the few in-stadium bars that stays open past the end of the game. Head there by the top of the 8th to snag a seat. Where to stay: With Jerry World and Six Flags right next door, Arlington is home to every budget chain hotel imaginable. Unfortunately, there aren’t any unique or higher end options, so pick your favorite hotel brand and book a room. Our neighbors to the north have given American many fantastic things, not the least of which has been maple syrup and poutine. In return, we share with them the love of baseball. Where to grab drinks pre- and post-game: Right across the street is Steam Whistle Brewing, where you can pop by for a tour and a taste before the game. Just down the street, the Real Sports Bar in nearby Maple Leaf Square (yes, right next to where the Maple Leafs play) is a colossal, ginormous large sports bar just a short walk down the street. Where to sit: 100-level seats can be a steal at the Rogers Centre so do your homework and get yourself a bargain. Where to eat: Want to brunch and watch the game? Arriba Restaurant, located in the hotel attached to the Rogers Centre, has windows that overlook the field. Inside the stadium, make Muddy York Market your go-to food stop, with everything from jerk chicken nachos to smoked pork sandwiches to sweet potato fries. Where to stay: Right next to The Real Sports Bar, and connected to the Air Canada Center, is the Le Germain Maple Leaf Square. This boutique hotel pays homage to Toronto’s sports stars in a subtle way through black and white photography and accent colors that rotate depending on what hometown team is playing. The Nats – this year’s pick by many to win it all - play in the hottest, fastest growing neighborhood in DC, which means by the time you read this, there will already be a dozen new places to hit up. Where to grab drinks pre- and post-game: The Fairgrounds for beer, live music, and corn hole (the outdoor game, and not a Beavis and Butthead reference), though the 2015 season will be the last before this DC institution is turned into a high-rise condo building. Where to sit: Section 108 offers a great view down the third-base line and the chance to get up close and personal with Bryce Harper. The box office sells $5 seats starting two hours before the game, but be prepared to wait in line. Where to eat: Two Words: Shake Shack. Head here for their burgers and crinkle cut fries and you won't be left wanting. It's joined by three other newish eateries by New York restauranteur Danny Meyer, El Verano, Blue Smoke, and Box Frites. Where to stay: Kimpton’s Monaco Hotel is nearby in the heart of Penn Quarter, which is five minutes on the Metro from the ballpark plus endless restaurants, shops and museums. 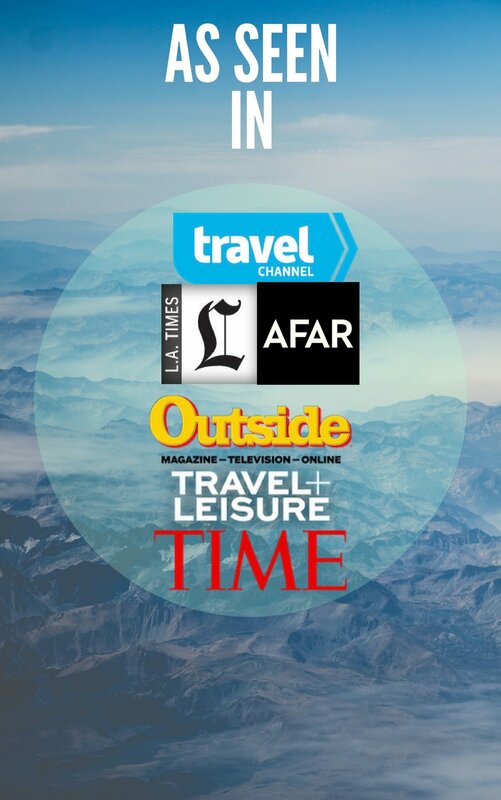 Christina Saull writes the award winning travel blog My View from the Middle Seat. She documents her travels around the world, sipping craft beer and coffee with colorful photography. Christina is also a die-hard baseball fan, growing up on Cleveland Indians heartbreak and learning a new type of heartbreak cheering on her adopted hometown Washington Nationals. 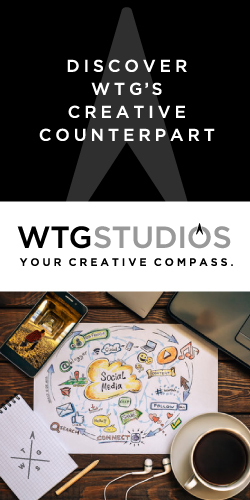 Follow her on Twitter at @MiddleSeatView.